Join us June 24-26 in Myrtle Beach, South Carolina, for the PFI Annual Conference - only 6 weeks away! Headed for Hershey - Next week I'll be traveling to Hershey, Pennsylvania to perform a site visit on a conference property we are considering as a venue for our 2018 event. While there I'll be the guest of producer-member Kenny Lisle and the Energex team and will visit their manufacturing facility in Mifflintown. I don't know that I'll ever tire of visiting our members' production facilities. Seeing people at work manufacturing quality products in rural places reinforces everything I believe about this industry. 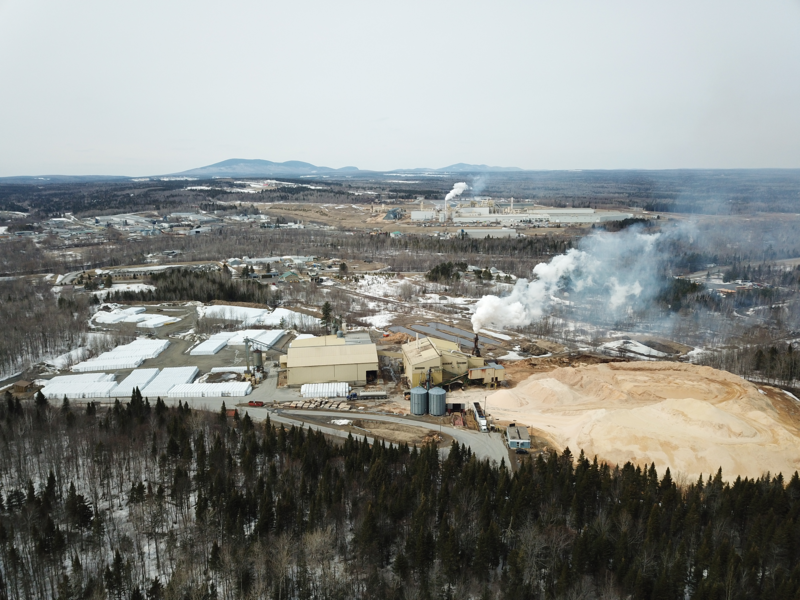 I'm also very excited to visit appliance manufacturer-member Hearth & Home Technologies pellet appliance manufacturing site in nearby Halifax as well. While I was fortunate enough to visit a pellet boiler manufacturing facility in Austria several years ago, I've never toured an appliance manufacturing facility in the United States. Finally, it looks like I'll also have an opportunity to tour a local specialty hearth retailer while I'm there. In just two very busy days, I'll have a look at the entire pellet manufacturing and distribution supply chain. Wood Pellets and Iran - As I write this, online news outlets are dissecting President Trump's withdrawal from the Iran deal and market observers are suggesting that this will only accelerate the increase in global crude oil prices. Candidly, over the course of the last few months, I've found myself wondering if the industry leaned too heavily on the economic advantage argument for wood pellets when crude oil (and heating oil by extension) prices were really high in 2014 and really, really high in 2008. The economic advantage offered by wood pellets in $100-plus crude oil markets is so significant that I wondered if the other, non-economic arguments for wood pellet heating weren't polished and refined because the economic argument was so strong. In 2008 when crude soared past $140/barrel, over 140,000 appliances were sold and in 2014, the last time crude was over $100/barrel nearly 90,000 appliances were sold. While I'd argue against an over-reliance on the economic argument for a wood pellet appliance purchase, I'm certainly happy to see it back in our value proposition. Operation 100k as a Means of Focus - As the notion of setting a public target for a new floor for wood pellet appliances began to emerge after some conversations with the PFI board I began to have great confidence in its appeal to our producer members. What I didn't count on was how useful I would find it when talking to industry partners not directly involved in the manufacture of pellets. Here is one example of the week. Yesterday I received an email from Rick Vlahos, the Executive Director of the Hearth, Patio and Barbecue Education Foundation and the National Fireplace Institute. Not knowing of Rick or the HPBEF nor the NFI, I picked up the phone and gave Rick a call. We had a terrific conversation, but the important thing for me was that when in the conversation it was my turn to talk about PFI I found it very easy to explain our strategy and what we'd like to accomplish. Moreover, it also allowed me to ask him questions about whether he thought some of the work he's doing at his respective organizations could contribute to the goals outlined in Operation 100k. Only 6 Weeks Till the PFI Annual Conference in Myrtle Beach! Register by MONDAY to Get the Early Bird Rate! Attending the PFI Annual Conference is an important way to show your support for our trade association and for the pellet fuels industry. We hope to see you in Myrtle Beach next month (June 24-26) - only six weeks away! Hotel rooms are filling up quickly so be sure to book soon. There are only a handful of spots remaining in the golf tournament. Sign up soon if you want to tee off with your fellow pellet fuels industry members on a "National Golf Course of the Year," the gorgeous Grande Dunes Resort Golf Course! We're building a collection of photos of our members, their pellets mills and product. Send them to Carrie Annand at [email protected]. This week's featured photo is from Bruce Lisle with Energex. Individual biorefineries can receive maximum awards of 50 percent of total eligible project costs, up to a maximum of $2 million. Eligible project costs include project-related construction costs for repowering improvements associated with the equipment, installation, engineering, design, site plans, associated professional feeds, permits and financing fees. The U.S. Energy Information Administration recently announced that U.S. manufacturers of densified biomass fuel reported producing 620,000 million tons and selling 600,000 million tons of fuel products in January. The data was released as part of the April edition of the EIA's Monthly Densified Biomass Fuel Report, which includes data for January. The EIA collected data from 87 operating manufacturers of densified biomass fuel to complete the report. The report does not include data from facilities with capacities of less than 10,000 tons per year, which report data annually rather than monthly. The 87 manufacturers that submitted monthly data reported having a total annual production capacity of 11.83 million tons. Collectively, they had an equivalent of 2,085 full-time employees. In January, the respondents purchased 1.18 million tons of raw biomass feedstock, produced 620,000 tons of densified biomass fuel, and sold 600,000 tons of densified biomass fuel. Production included 136,593 tons of heating pellets and 481,705 tons of utility pellets.